Healthy plants reflect light differently than stressed plants. When plants face less than ideal growing conditions like nutrient deficiencies, drought, pests and disease, they go through physiological processes that result in changes in their spectral signatures. For instance, stressed plants will reflect less near-infrared (NIR) and more red light than healthy plants. This gives them a different “greenness” values. Canopy sensing tools measure those differences and infer management decisions, like need for supplemental nitrogen application, thresholds for pest and disease control, etc. There are various canopy sensors available on the market. Active sensors have their own source of light. Passive sensors rely on sunlight to measure canopy reflectance. Passive sensors are usually mounted on drones and have the advantage of being able to cover large areas over smaller periods of time. Active sensors are usually mounted on tractors that need to be run throughout the field. The major limitation of passive sensors is that cloud cover may compromise data acquisition. On the other hand, modulated light emitted from active sensors allows for data collection in all conditions. Another relevant feature when choosing a canopy sensor is the wavelength (band) measured by the tool. Research in corn shows that some bands, like the red-edge, are more useful for determining plant nitrogen status. Other bands, like the red, tend to saturate easily with canopy cover. When canopy sensing, regardless of sensing tool, make sure corn leaves are dry, as water drops may cause light scattering. Lower greenness values may not necessarily be a result of nitrogen deficiency. The technology could be sensing other factors like water stress, disease, or other nutrient deficiencies. To minimize this potential issue, place a nitrogen-rich reference strip within the field. Then, compare the canopy reflectance to those of nitrogen-sufficient plants. This can give you more confidence with interpretation, but keep outside factors in mind. There are some sensor-based nitrogen recommendation algorithms that help with decision making. These algorithms are developed based on regional specificity, so use algorithms developed under similar field conditions to those present in Minnesota. Because you need deficiency symptoms present, canopy sensing at early development stages challenging. Corn nitrogen demand is modest early in the season and the soil doesn’t provide much. 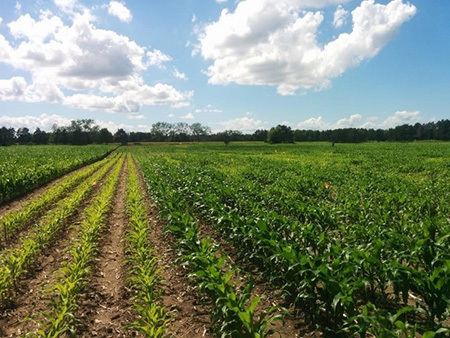 Consistently our research has shown that at V4 development stage, sensors cannot detect canopy differences, making it impossible to determine needs for supplemental nitrogen. By V8 the sensors start to pick up differences, but the sensors tend to underestimate the nitrogen rates required to optimize grain yield. This is unfortunate, because at V8 or earlier it is logistically easier to supply nitrogen. Research shows that sensors give more accurate reads later in the season (V12 to R1). At these stages nitrogen applications require high clearance equipment, and yield potential could be compromised because of the delay in nitrogen supply. Dry summers can make this worse because there is not enough precipitation to incorporate the application into the root zone. Consider canopy sensing technologies as one more tool in the toolbox. If using canopy sensing, you can apply nitrogen later in the season with high clearance equipment or through fertigation. Irrigated fields will allow for nitrogen incorporation into the root-zone immediately after application. 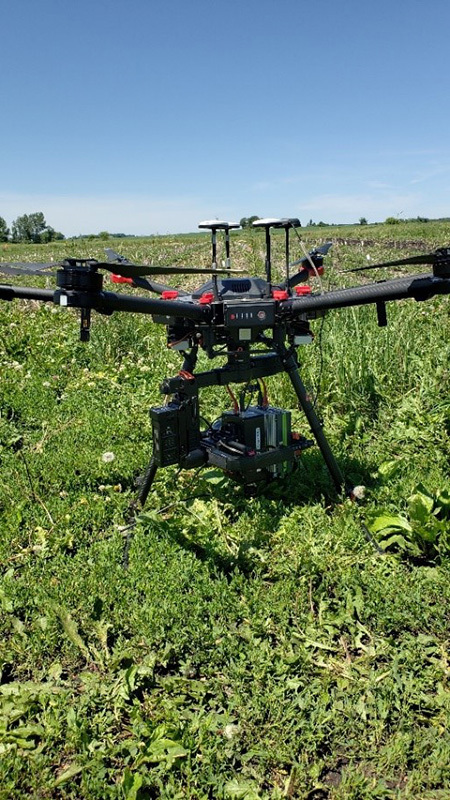 As with every field activity, consider costs, risks, specific field conditions and management goals before deciding on the use of canopy sensors to guide side-dress nitrogen applications.